These DEFENDA Envelopes come with C4 size Stiffeners to add even more protection to your items that you need to ship safely through the post. 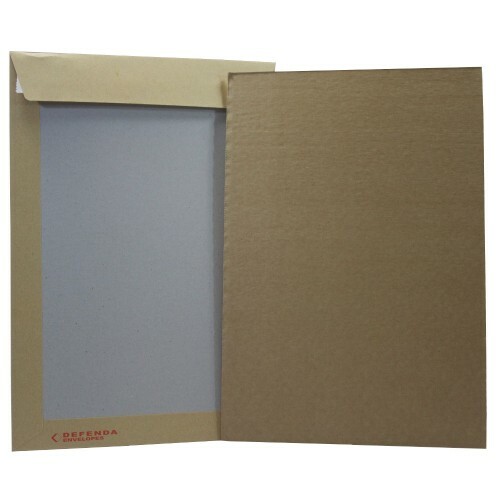 The stiffener is made from a very strong E-Flute corrugated board and will still allow room within the Board Backed Envelope for your item. Very Strong Combined Board Backed Envelopes and Stiffeners.